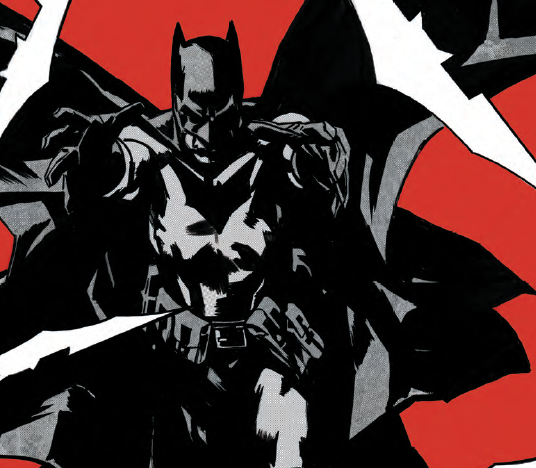 Detective Comics #990 Review – AiPT! Batman must admit Harvey Dent can’t be saved. Or can he? Is Two-Face a victim of an accident, or a duality that revealed a true self by a self-proclaimed great man? Writer James Robinson is exploring this aspect of the villain in the third part of his “Deface the Face” storyline. Batman is hot on the trail of a murder suspect, but first, he’ll have to get past Two-Face. Even though Harvey Dent seems to be asserting control, how long before he becomes a sociopathic criminal once again? More importantly, what is Dent’s connection to the victim, and what does it all have to do with the terrorist organization of slithering serpents called Kobra?! Whatever it is, it’s big enough to reunite Jim Gordon and former district attorney Harvey Dent, and that meeting alone is worth the cover price. The ever-present tragic story of Two-Face is further developed here, which should bear some change on the character in some way. This is a story that reveals a villain trying to be good, or at least we think so. It’s also fascinating to see Batman give up on Harvey. First and foremost, this is a well-drawn issue by Stephen Segovia. The colors by Ivan Plascencia and Allen Passalaqua succeed in delivering a gritty look, and Segovia draws one hell of a detailed looking book. There are pages that remind me of Tony S. Daniel’s work due to the lighting and well-rendered physique of Batman. There is some great fight choreography in this issue too, making the dance of Batman fighting baddies all the more entertaining. Later in the issue there is a great attack on the G.C.P.D. that is intense due to the use of shadows and the fear on the faces of the officers. Without a doubt, this issue adds a realism that ups the tension in all of its scenes. Robinson seems to be exploring the impatience one might have with the Two-Face character. There are fantastic stories utilizing the character in ways that are intriguing, be it his inner good-guy attempting to come out, or the monster side taking over. The character’s duality has always been a psychological dream come true for writers, but Robinson blows that up a bit here by making Batman just sick of it. Good guy or bad guy, he’s still doing wrongs, and Batman seems to have given up on saving him. That adds a level of reality to the entire relationship–a relationship that has had so many savior complexes it’s hard to count–and it’s interesting to see a Batman who is human and who may not have all the answers. There’s also a great scene with The Signal which further shows Batman is human and needs help. As if calling out Batman’s obsession with the shadows, Robinson has Bruce Wayne reflect on enjoying the sunlight from time to time. It’s nice to see Signal checking in too and a reminder of how this character is important in the mythos. The last two pages set up a good cliffhanger but read a bit clunky. The dialogue from Batman and Harvey Dent is unrealistic and strange. Harvey, for instance, admits it’s unexpected Batman found him. Odd. The scene seems to be about the two characters admitting the other did a good job. It takes all the conflict out of the room. I suppose that’s the point since all they want to do is chat it up, but it dives right into this strange anti-antagonism that breaks from all the fighting that preceded it in this issue. A good issue that plays around with your expectations of Batman and Harvey Dent.